We are on Thanksgiving weekend count down and while lots of others are focusing on Thanksgiving dinner I have decided to focus on the before and after! 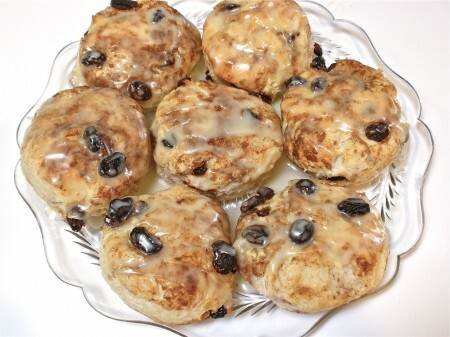 Yesterday I posted a recipe for these yummy cinnamon raisin biscuits but what you need to know is they perfectly accompanied a ham-bacon-onion-cheese quiche! Oh, what a great pair they make! 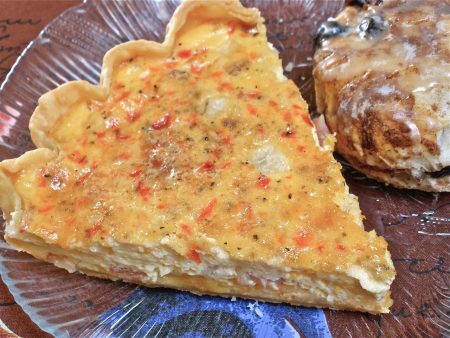 🙂 This quiche only needs a can of evaporated milk instead of the usual heavy cream so you can feel good about eating it this holiday weekend, as the memory of the over-stuffing Thanksgiving begins to fade and a hungry growling stomach takes its place. Kitchen blessings and happy cooking! Even though for years I would make a homemade pie crust, these days I leave the perfect pie crust to Pillsbury. 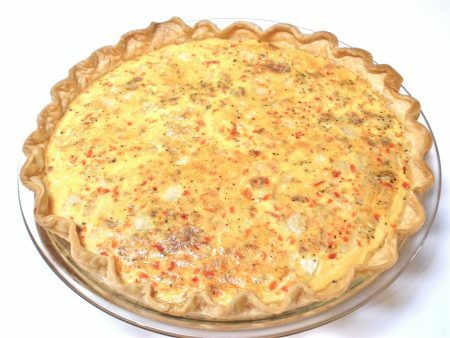 That may seem sacrilege to cooks everywhere, who only cook from scratch, but I am far more interested in a quick and fabulous finished product than “I did it from scratch.” So don’t let the crust keep you from making quiche. 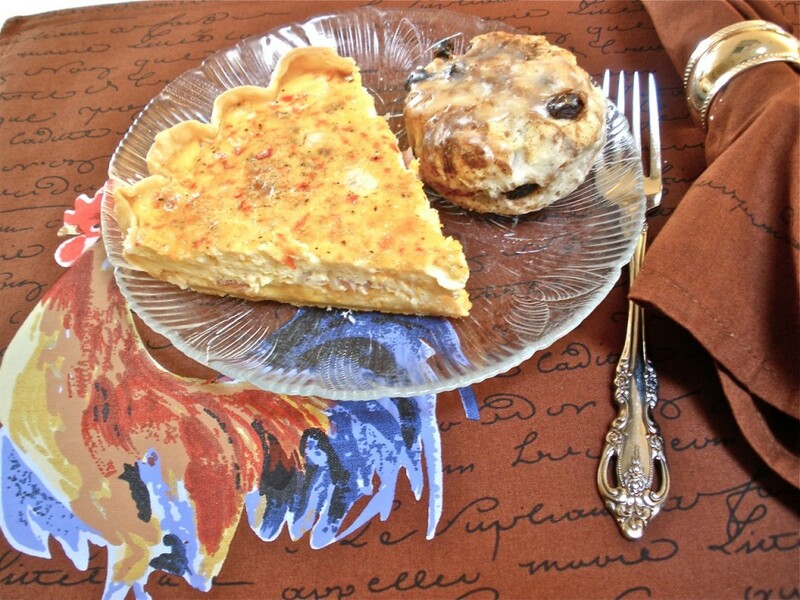 Quiche is great with biscuits for breakfast, really nice with salad for lunch, and the leftovers warm up well! Happy Cooking! 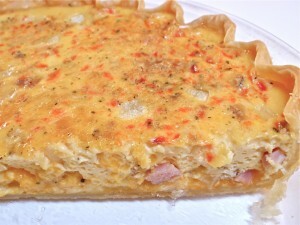 Surprising flavor in every mouthful of the bacon, ham, and two-cheese quiche. Beautiful and delicious! Spray canola oil very lightly in a 9" or 10" pie plate. Add prepared single pie crust. Flute edges. Sprinkle with cheddar cheese. Cooked 3 slices of bacon until crispy, drain on paper towel, crumble. 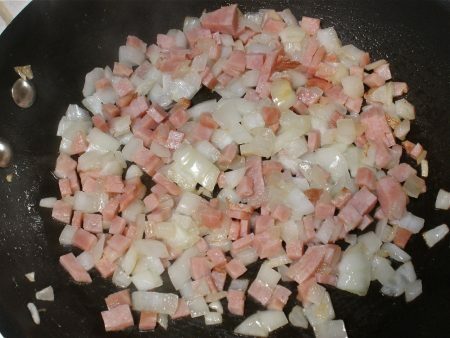 Saute' diced onions and diced ham in 1 teaspoon of butter. Cook until ham is slightly browned and onions are translucent. About 5 minutes. 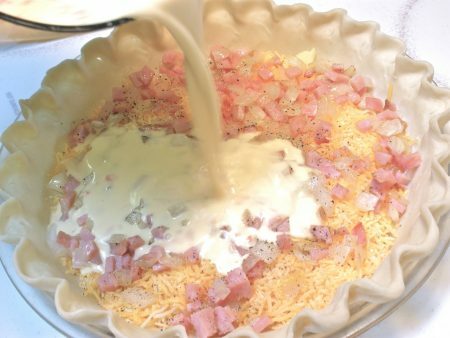 Layer in pie plate: Cheddar cheese, crumbled bacon, ham and onion mixture. Beat eggs, milk, pimientos and Gruyere cheese in a food processor or mixer. Pour mixture over cheese, bacon, ham and onions. Place pie ring or tin foil around the crust edges. Bake in a 375 degree oven for 40 to 45 minutes until set in the middle. Cool slightly before cutting to serve. (1) I don't add salt because the pimientos are salty as is the meat. (2) A little chopped broccoli can be added for a green/red look at Christmas. 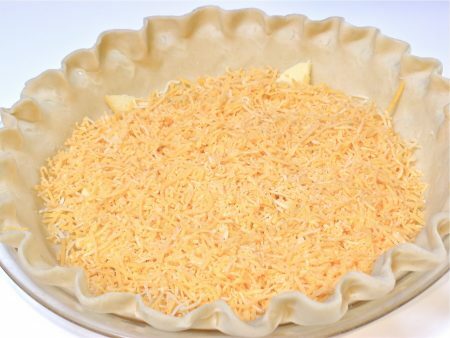 (3) Layering the cheese first keeps the crust from getting soggy, spraying light canola oil crisps up the crust slightly. (4) Evaporated milk works just as well as heavy cream and is lower fat. I love gruyere and cheddar together! Can’t wait to try your quiche recipe – it looks wonderful! Stephanie, you are so right, these cheeses are awesome together! 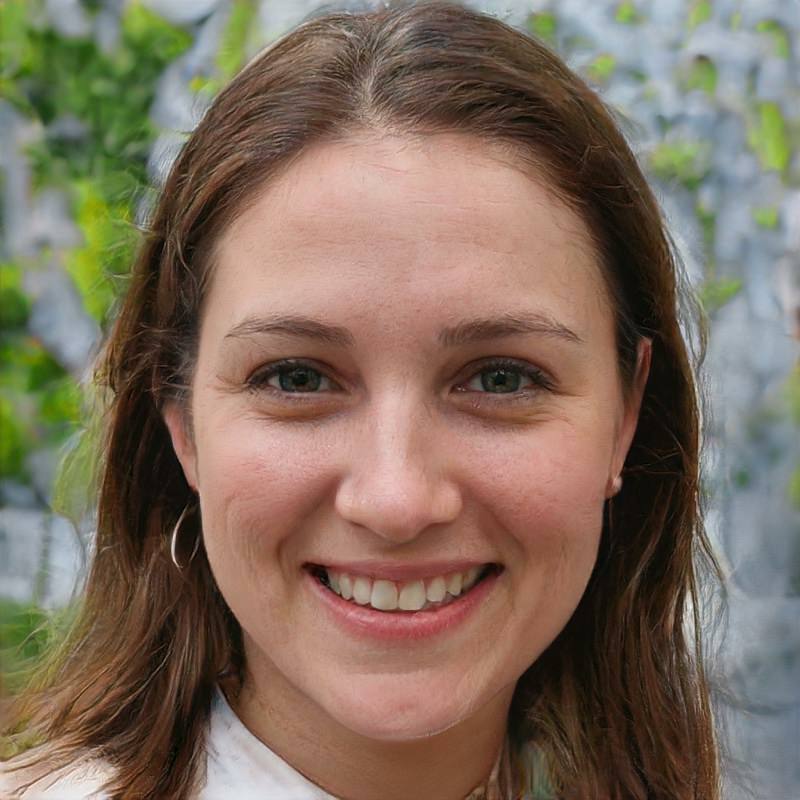 BTW – I stopped by your website and it is wonderful! Thank you!